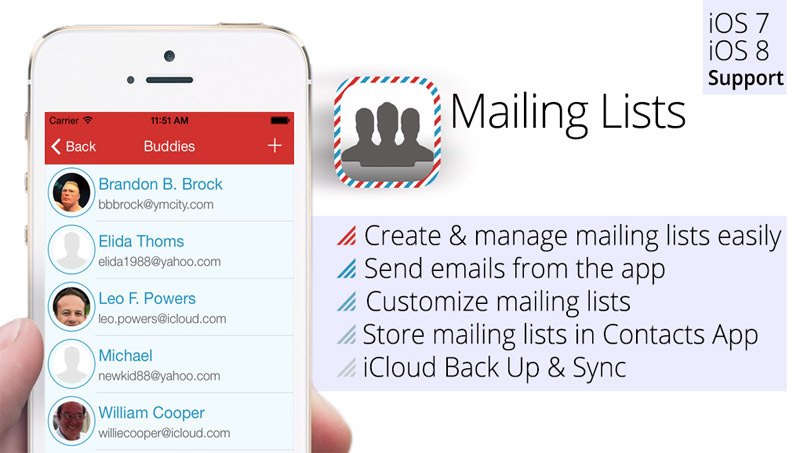 Mailing Lists is a FREE iOS App. 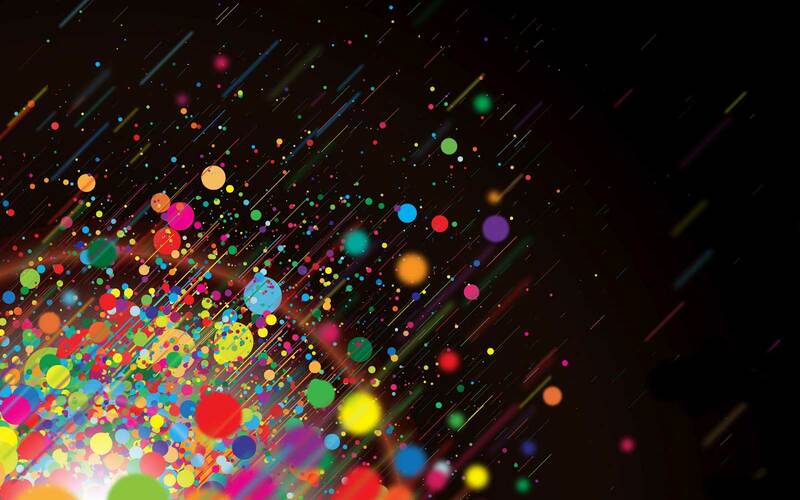 Create, store, manage, customize, and sync mailing lists. 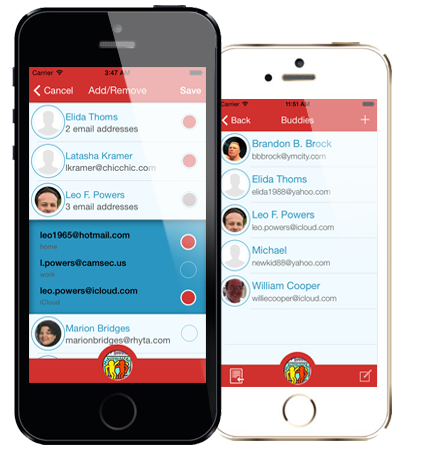 Simple UI and mail service within the app make your life easier and saves time by easily add/remove email contacts to your mailing lists and send a group message effortlessly. Adding a new mailing list is simple. Press add symbol on the top right corner and you will be presented with a pop up to enter your mailing list's name. 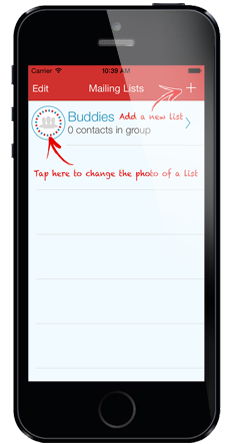 You can also add image by tapping on the placeholder image after you created the mailing lists. 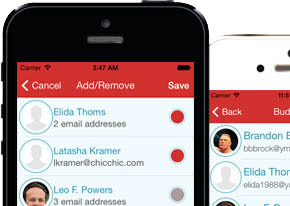 Mailing Lists iPhone application provides you with intuitive way to manage all your mailing lists. 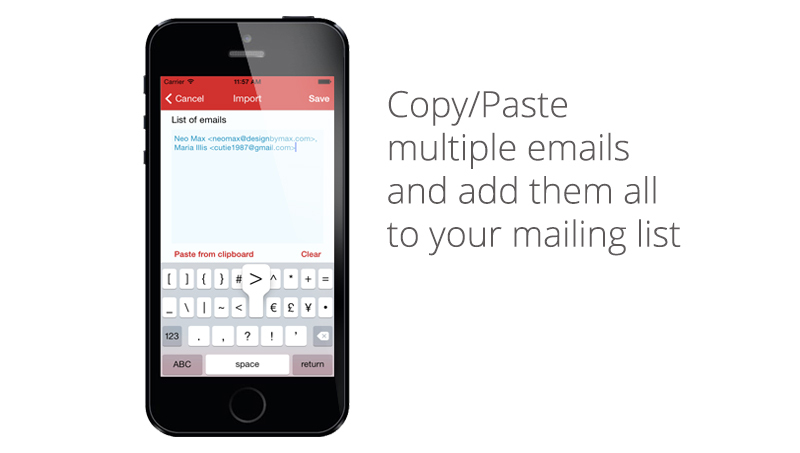 You can add emails manually or simply copy&paste multiple emails from other apps and import all with one click. 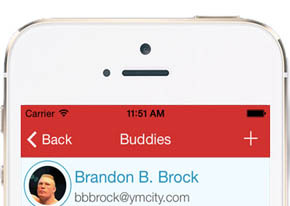 Assign images to your lists for better customization. 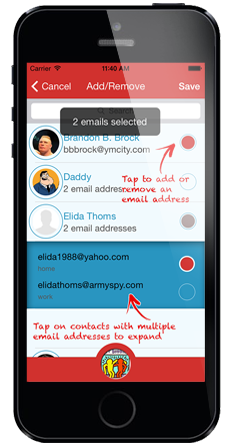 Edit your mailing lists' names and add/remove contact's mails easily. 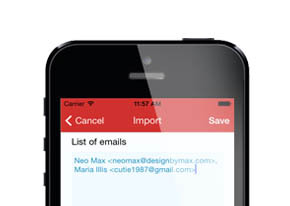 You can also compose email right within the app and use your mailing lists in there. 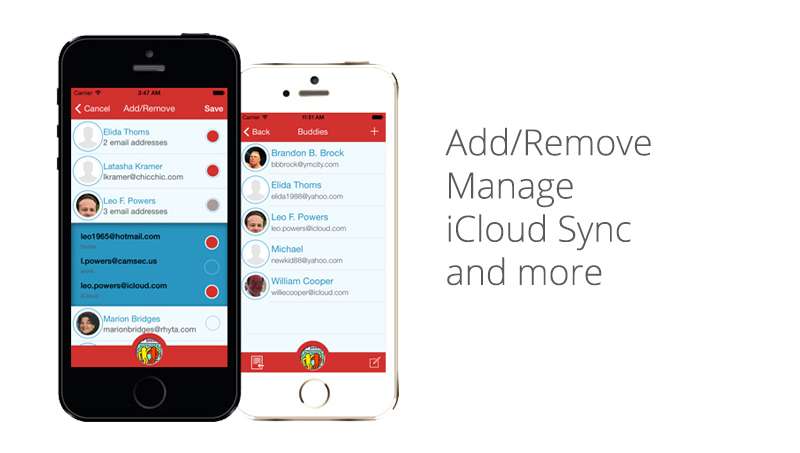 iCloud sync helps you back up all of your Mailing Lists automatically and reuse them everywhere. © Design by Max 2014. All rights reserved.